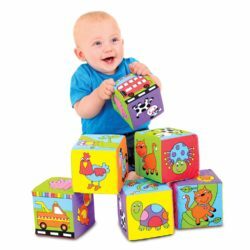 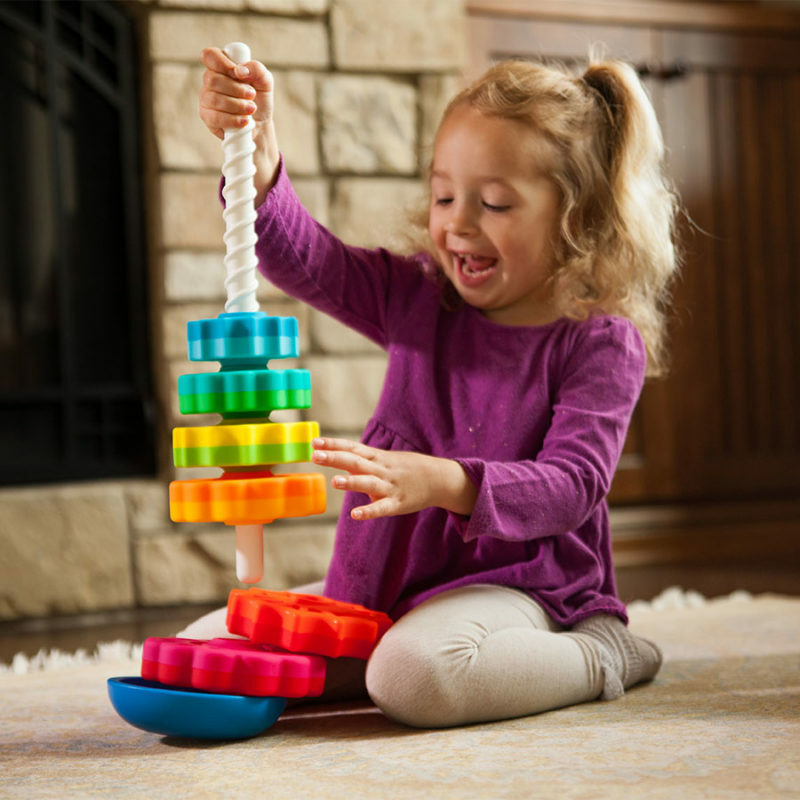 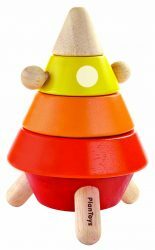 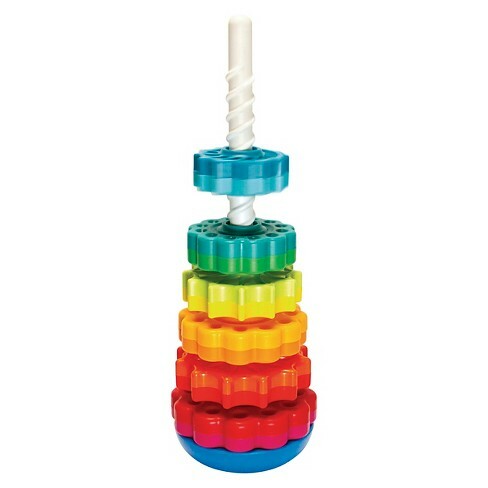 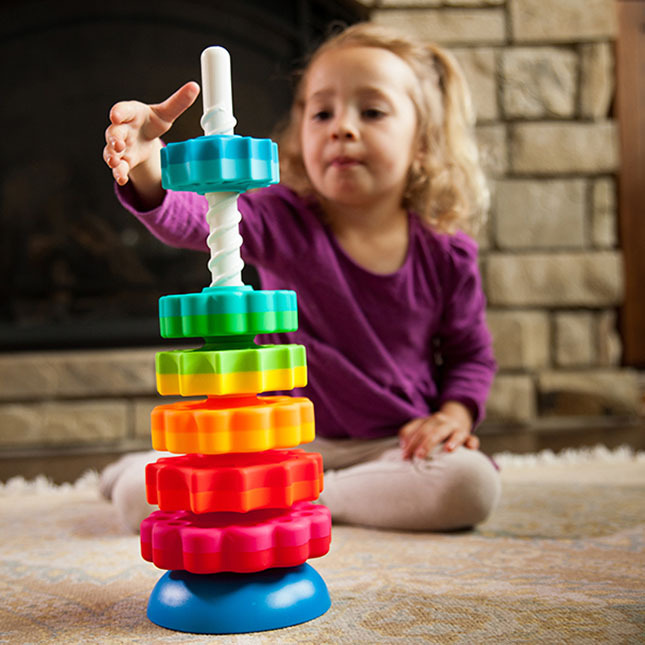 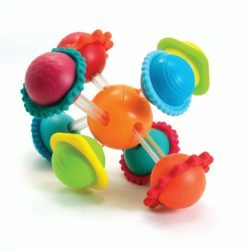 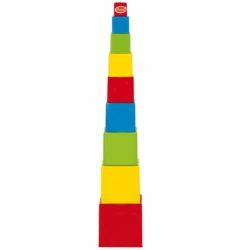 The first ever stacking and twirling toy! 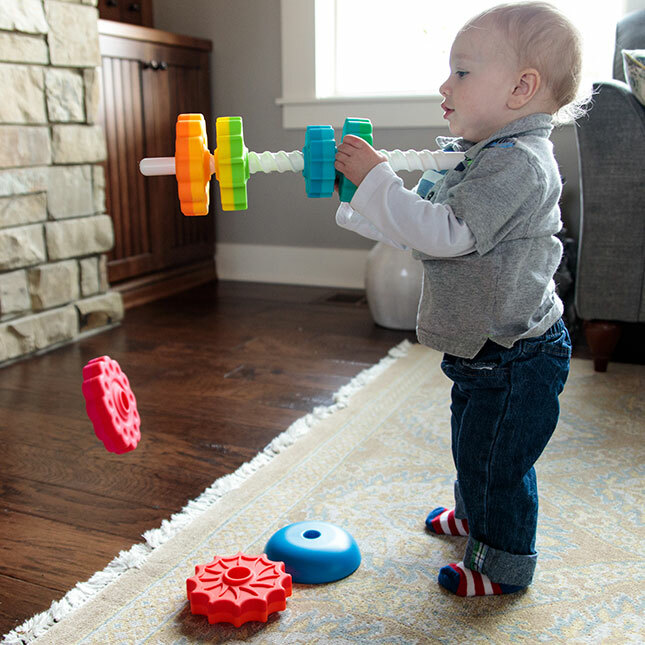 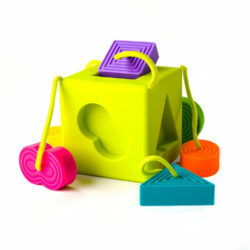 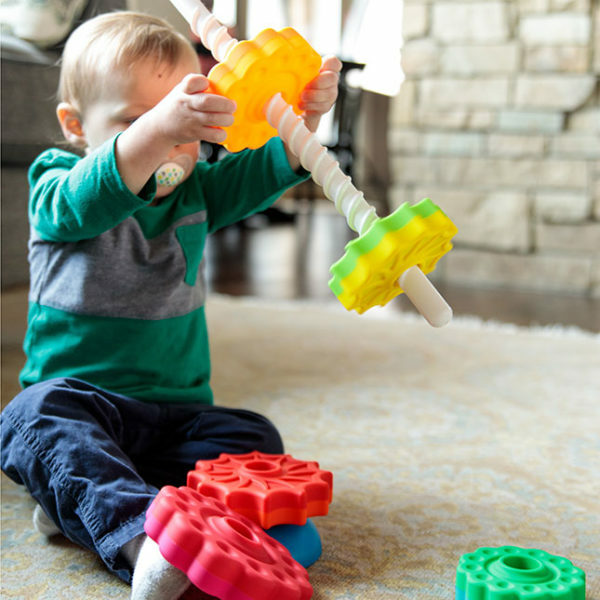 It’s a stacking toy with a spin—literally! 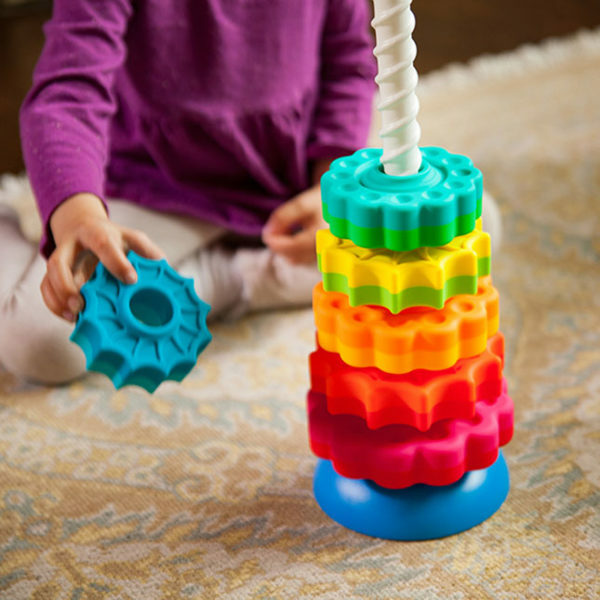 There’s stacking, there’s twirling, and then there’s SpinAgain!